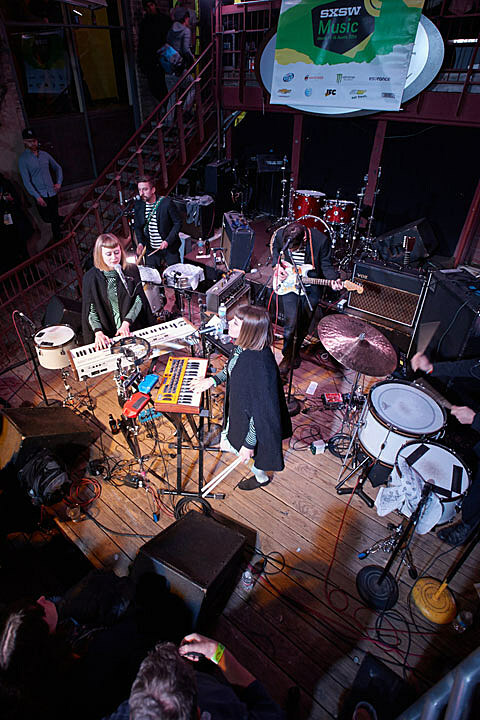 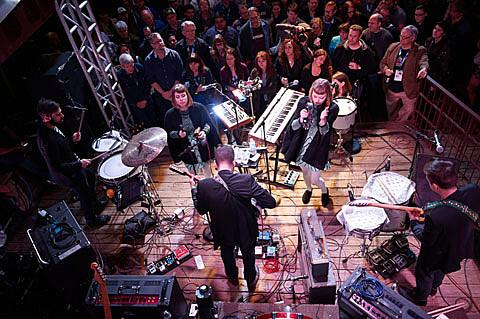 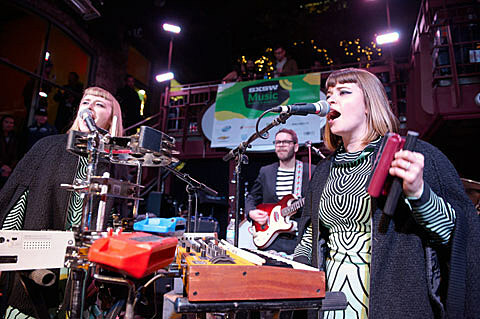 Chevrolet took over the Cedar Street Courtyard during SXSW, offering up three nights of music in one of Austin’s more unique open-air spaces. 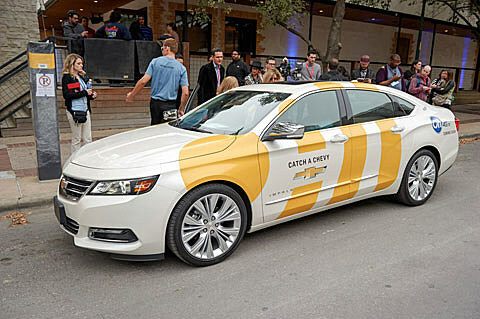 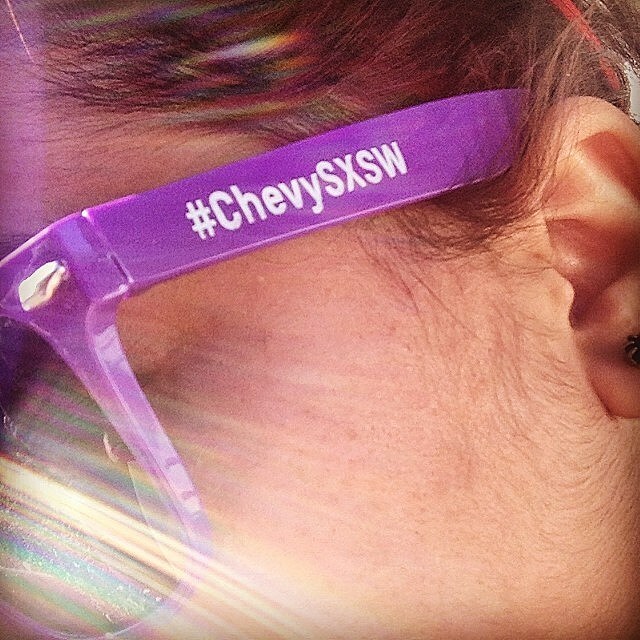 (They were also shuttling people around SXSW in free Chevy taxis.) 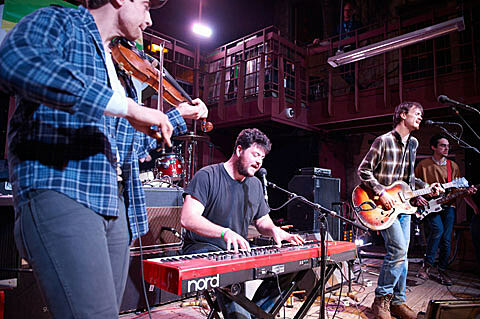 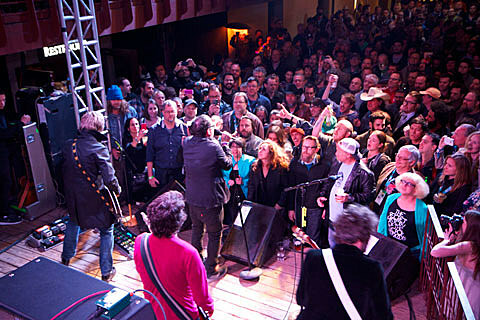 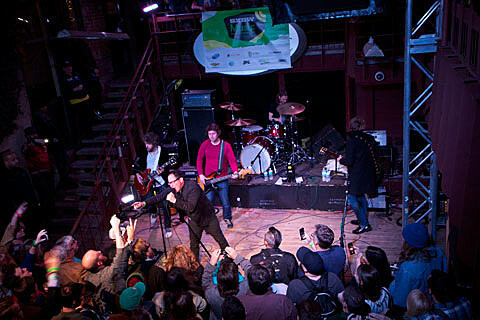 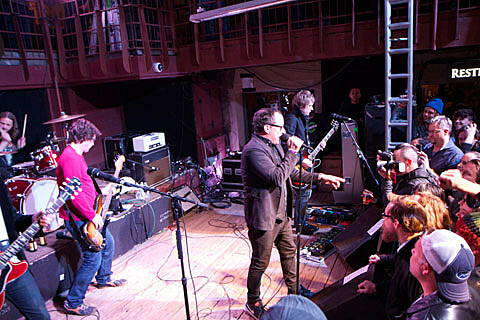 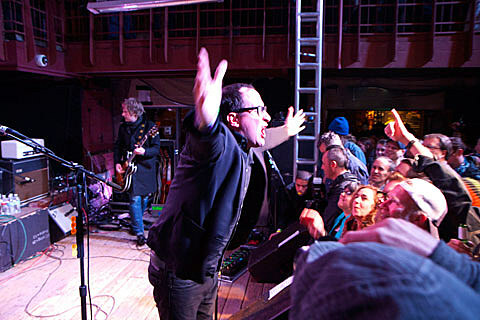 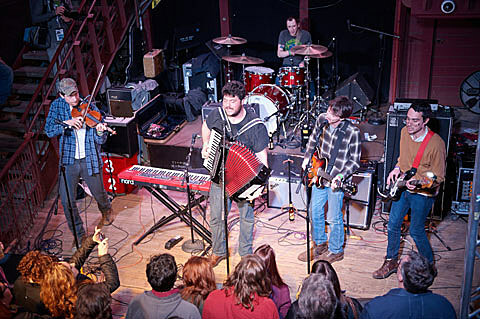 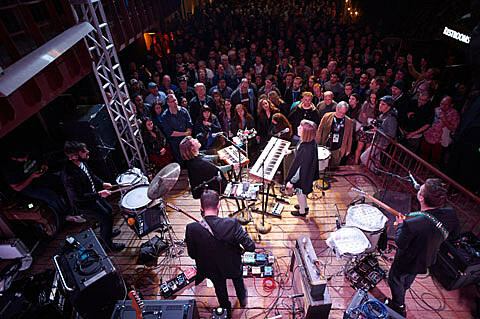 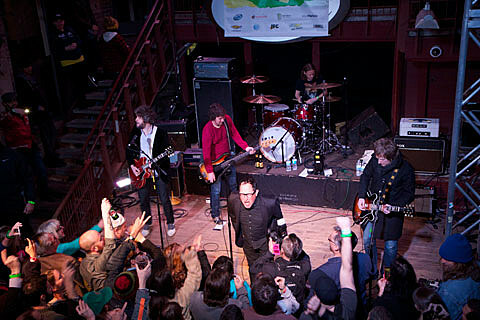 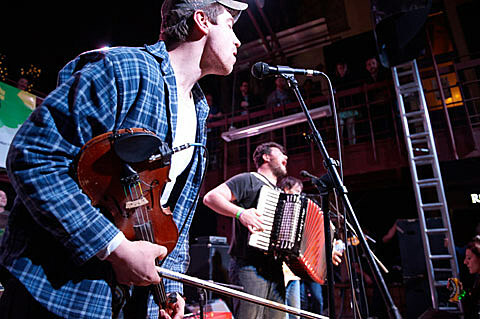 The first night of the “Chevrolet Courtyard” featured a rootsy evening headlined by The Hold Steady (who played our Saturday day party later that week), who gave a typically spirited performances in front of a very amped up-crowd. 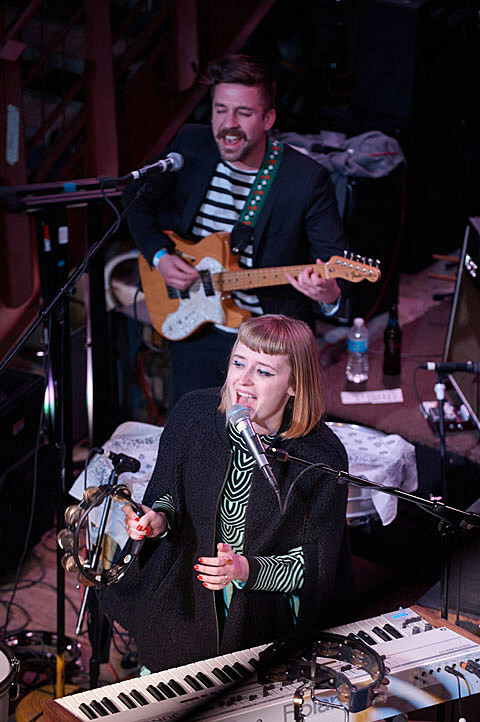 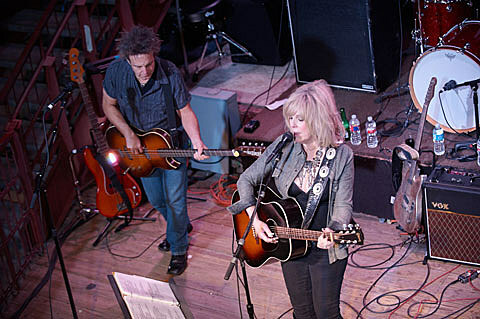 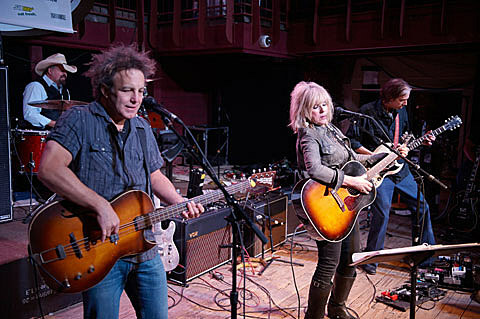 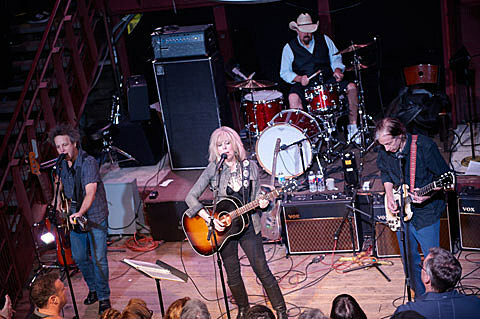 The night also featured country folk legend Lucinda Williams (who previewed some songs from her forthcoming album), the lovely harmonies of Brooklyn’s Lucius, and Upstate New York’s Felice Brothers. 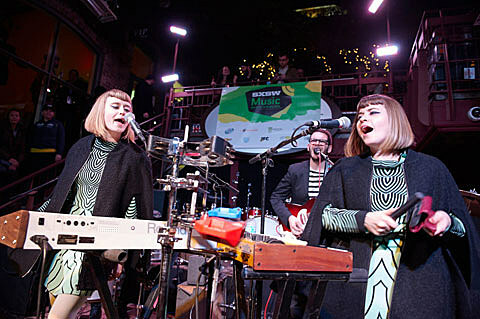 Pictures from all those performances are in this post. 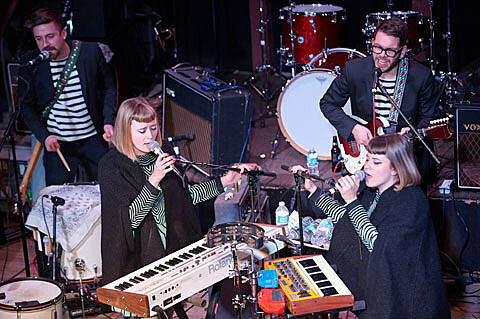 Pictures from other nights HERE.